Like a high-end sports car, Smooth 4 can enter PhoneGo mode and release the potential of motors in a flash. It can respond to every delicate movement without delay without the need to worry about losing any shots.What's better is that amazing scene transition can be achieved in your footage without post-processing. 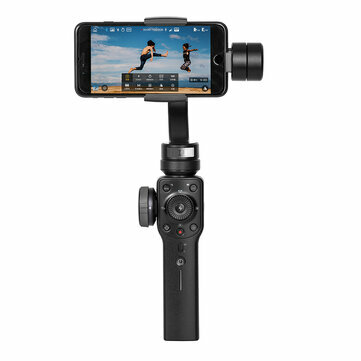 With so many time lapse with freer settings on shooting ranges (wide to tight), angles and focus, you can customize unique-style time lapse footage, capturing all movements and objects including huge crowds, dancing flowers, moving silhouette or white cloud in the air. Creating a different time flow in your phone or capturing lives in a retrospective light, it's all up to your imagination.